BIGG BOSS 11: Priyank Sharma stoops to a new low; body shames Arshi Khan and Shilpa Shinde! The official troublemaker of Bigg Boss 11, Priyank Sharma has once again stooped to a new low. After getting into ridiculous arguments with other mates on the show, this guy has gone ahead and body shamed the two strong personalities of the house- Arshi Khan and Shilpa Shinde. Turns out that during an argument Priyank called the ladies fat and made them feel bad for looking a certain way. Scroll down to see what happened. So there was a hot discussion inside the house where people were talking about how Shilpa doesn’t deserve to stand for the captaincy task. Hina here said she is a better performer than Shilpa and that she deserves the spot more than anybody else. 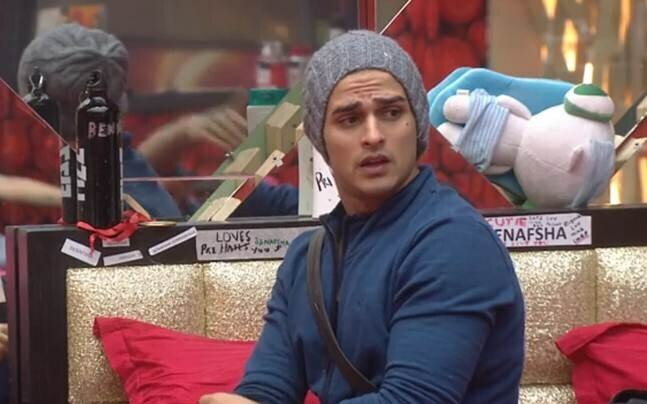 Priyank here tried to support Hina and blurted out saying that Shilpa and Arshi are ‘fat’ and a ‘drum’. He also said that they eat all the time inside the house, are fleshy like drums and buffaloes and weigh over 70 kilos. Serious Priyank? That’s a shame! Well, this isnt the first time people have made fun of a chubby person on a reality TV show. This has occurred way too many times and no matter how far we go or how soon we advance, We just really hope Salman Khan talks to Priyank about this and give him the proper schooling he needs.